Hi Steemians, I have never planted garlic before, or even some plants. For I have thought that I should have a green thumb first. But today, I want to share this wonderful sign of hope. 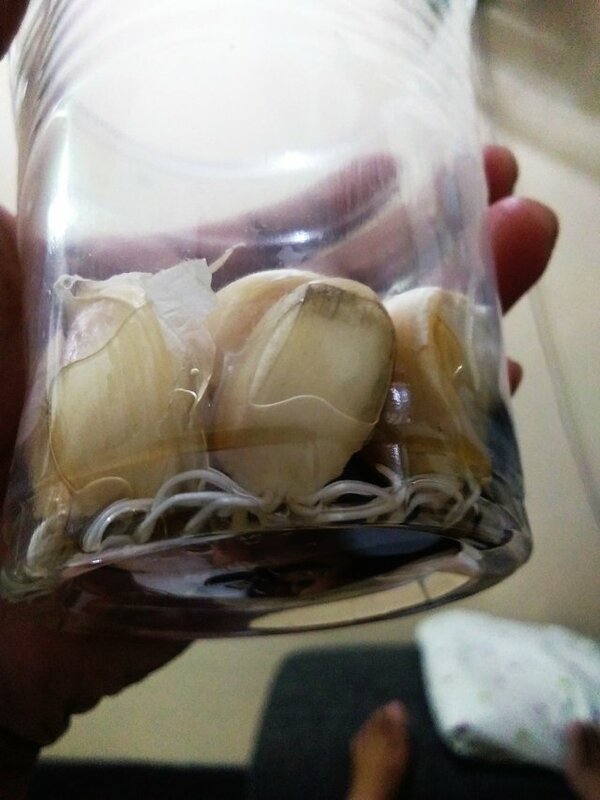 I took some of the garlic cloves in our kitchen and sink it in a plastic cup with a little water it. Then, I transferred it to a small pot with soil. I asked some soil from our land lady, for we don't have any soil here in our apartment. And after another 2 days... Tadaaaaa! I watered it every 2 days. So now, here it is after 8 days. Until I tried and acted, and now it's possible. But all I have to do is try, then there will be hardship. In the end, I will find myself, I have done it. By the way, failure is always there. 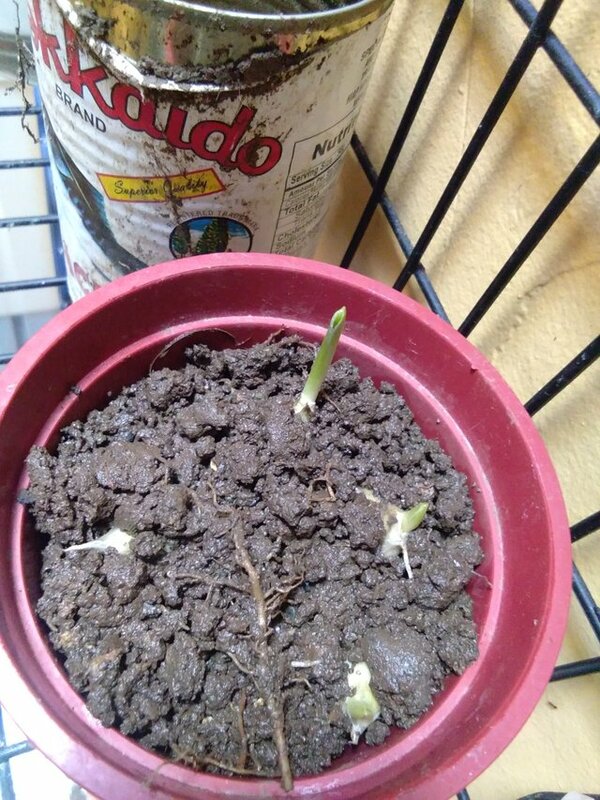 I tried planting garlic together with onion. 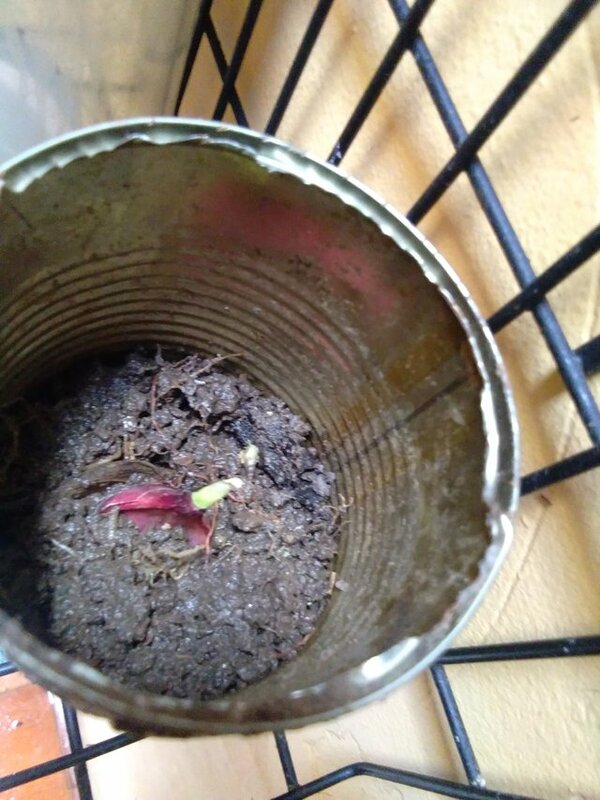 At first baby onion is with us until trasferring to soil. But onion did not make it. 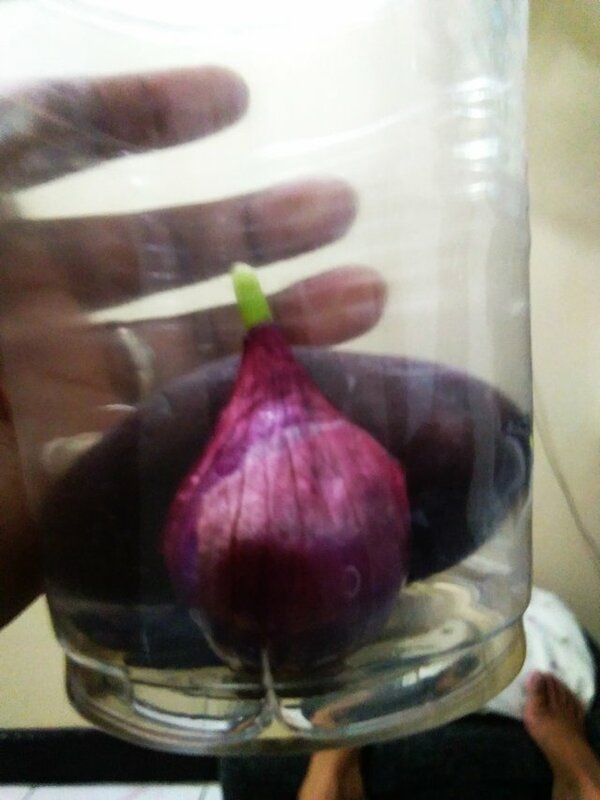 Even onion did not make it, I am still happy because of 5 living garic I planted. Doesn't mean that I failed in onion, I will uproot the garlic and stop what Ibhave started. It's not the end of it all. There are failures, but let hope keeps you going. I didn't know we use cloves of the garlic to plant it. I might try this too, i mean with the high prices of everything, this could save a lot. 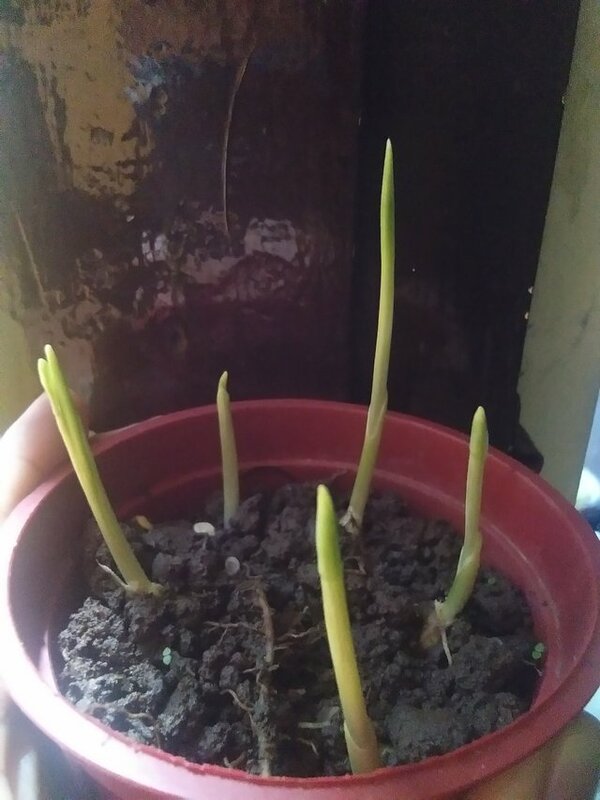 I think watery soil is not good for onion, that is what I noticed. yess that must be it...they like sun and maybe a sandy kind of soil with compost..
which do you mean? taugi? 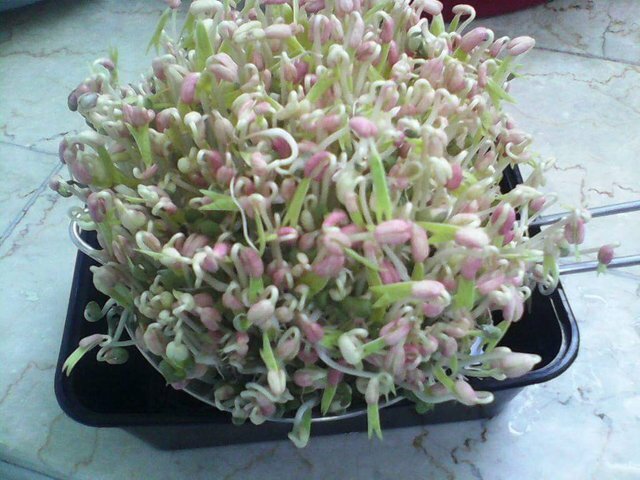 i had it once..like this...harvested n cooked fresh sprouts..hehehe..
Yesyes! I did that twice! 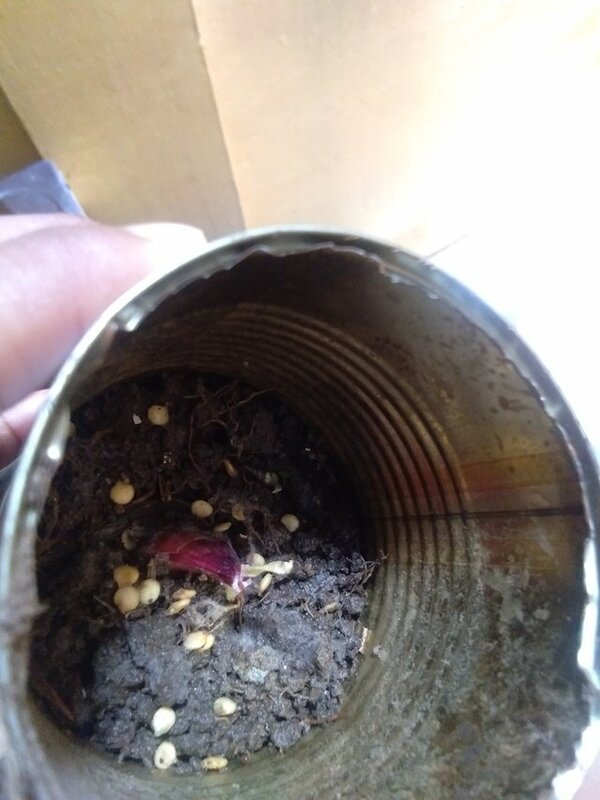 and because you asked me, it reminds me why not again..i'm soaking a handful of seeds right now, will harvest it 4 to 5 days later..hahahha..